4 Bedroom End of Terrace For Sale in Nottingham for Offers Over £165,000. Four bedroom end terraced family home situated on a good size corner plot. 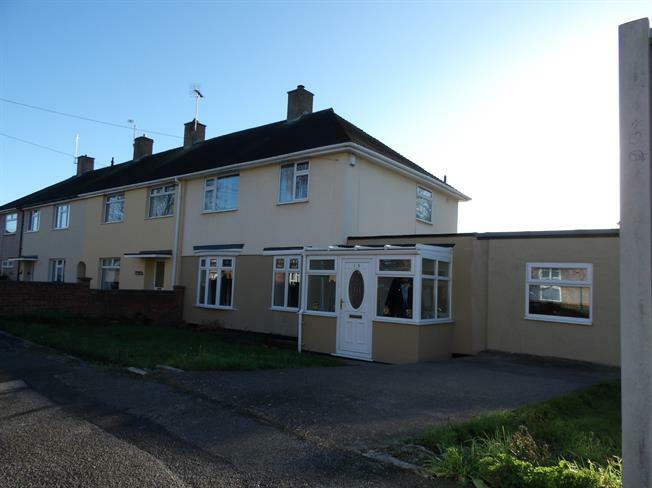 The property has the benefit of a fourth bedroom / family room, fitted breakfast kitchen, gas central heating, double glazing. The accommodation comprises entrance hall, lounge, fitted breakfast kitchen, utility room, bedroom four / play room, toilet, stairs to landing, three bedrooms, shower room. Front, side and rear gardens. VIEWING A MUST!!! UPVC front double glazed door. Radiator. Double glazed uPVC window facing the front. Radiator, carpeted flooring, ornate coving, stairs to landing. UPVC French double glazed door. Double glazed uPVC window facing the rear. Radiator, part tiled walls. Roll edge work surface, wall, base and drawer units, one and a half bowl sink, space for oven, space for washing machine. Front double glazed door. Double glazed uPVC window facing the front. Radiator, tiled flooring, original coving. Space for washing machine. Double glazed uPVC window with obscure glass facing the rear. Radiator. Low level WC. Double glazed uPVC window facing the side. Radiator, carpeted flooring, built-in storage cupboard. Double bedroom; double glazed uPVC window facing the front. Radiator, carpeted flooring, a built-in wardrobe. Double glazed uPVC window with obscure glass facing the rear. Heated towel rail, part tiled walls. Low level WC, walk-in shower, pedestal sink. To the front there is a lawn, driveway providing ample off road parking. Enclosed rear gardens block paved patio, blue chippings, metel shed, fencing.